The BAC Peer Mentoring program aims to connect seasoned BAC students with Foundation Segment students to assist in their transition to design school and provide support as they navigate their first couple of semesters. Mentors and Mentees are currently being recruited for the Spring of 2014. 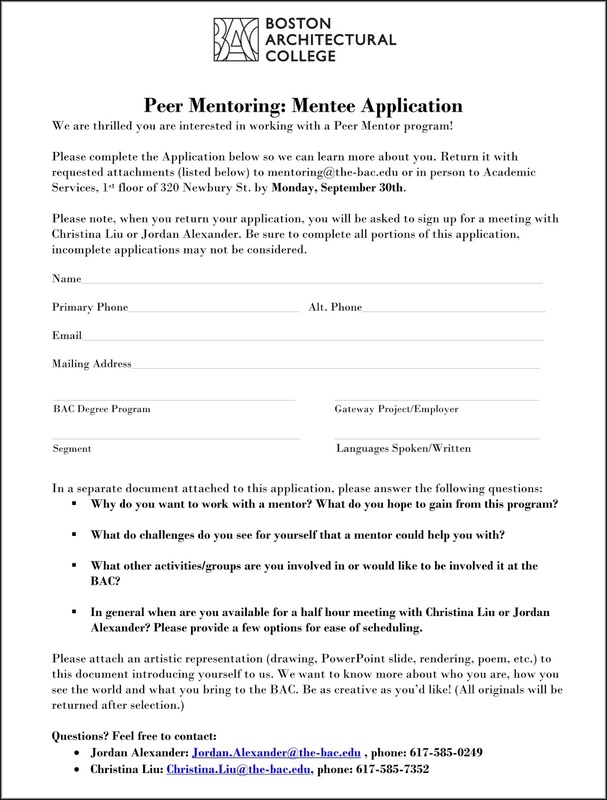 The Peer Mentoring program is open to any BAC student who wishes to participate. Both Mentors and Mentees will have meaningful experiences through this program including getting involved in the BAC community; sharing/receiving valuable design experience, knowledge and skills; connecting with peers in the design community; develop leadership skills; and participate in fun activities with awesome people! Fill out the application above. 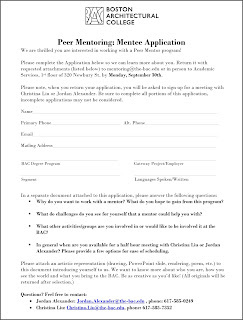 After students complete the application, they will be contacted by a member of the Peer Mentoring staff to meet. 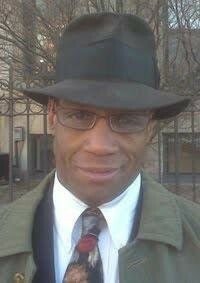 For Mentors, this meeting will be more of a formalized interview to determine their fit for the position. For Mentees, this meeting will be an opportunity to get to know them and understand their needs. Applications are due by Monday, September 30, 2013. Email Jordan Alexander or Christina Liu!